A guide to the best places to stay with babies and toddlers in the Canary Islands ,including baby and toddler friendly hotels and apartments in Tenerife, Gran Canaria, Fueteventura and Lanzarote. 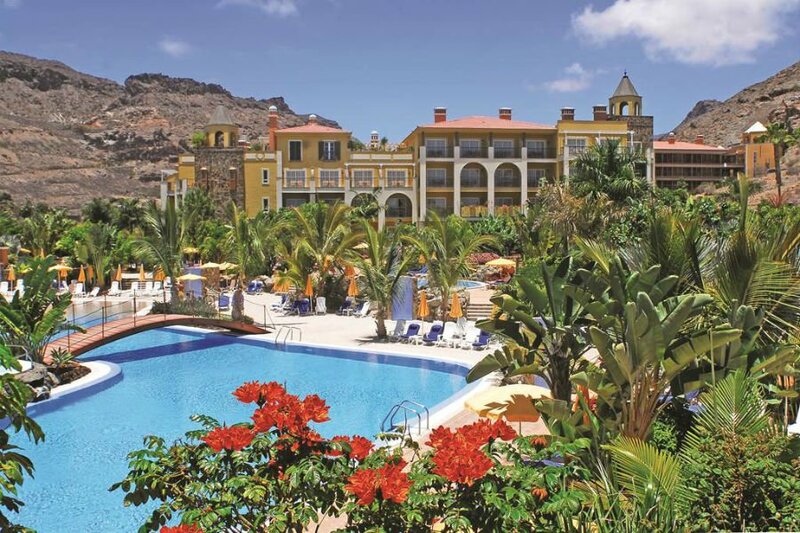 Discover the best places to stay with babies and toddlers in the Canary Islands. 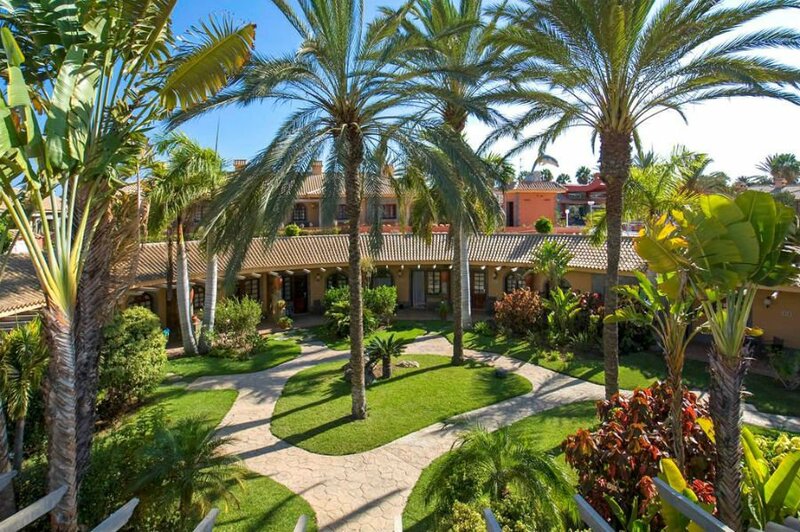 The GF Isabel is a typical Canarian-style resort village, with a mixture of apartments and villas set in spacious grounds and pretty gardens. There is a splash park, kids club (for child aged 3+), and an indoor play area for children up to 3 years with a soft play area, ball pit, climbing frame, TV and slides. 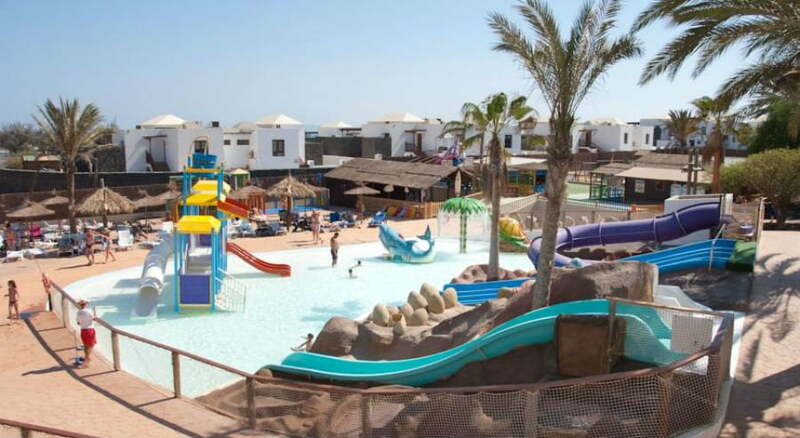 There are also 2 outdoor pools with a children’s section, and plenty of sunbeds to relax on. All Inclusive and half board packages are available. The GF Isabel is only 10 minutes to the beach, and a short bus / taxi tide to the Siam Park Water Park. Good For – Families looking for a self-contained villa / apartment with a splash park and all the facilities of a hotel. 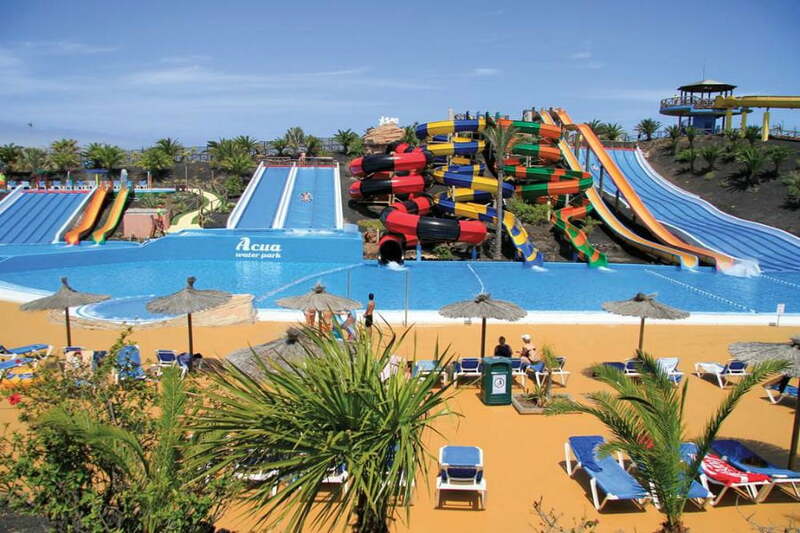 This busy resort has direct access to the beach, and is in the middle of the bustling Playa De Las Americas resort. The Parque Santiago III and IV are next to each other on the seafront surrounded by palm trees and exotic plants, but just across the road from the Safari Shopping Centre. 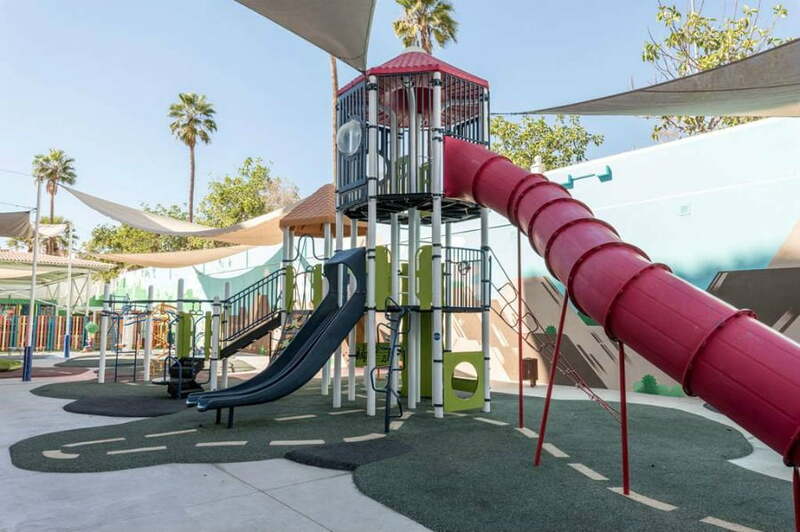 Toddlers will love the playground and the splash park, and the playground with swings, slides and a merry go round. 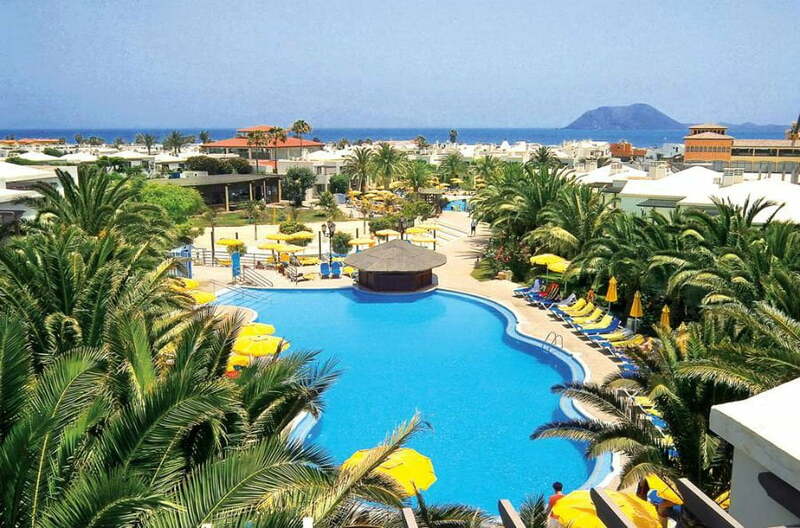 There are also 9 a la carte restaurants and 4 outdoor swimming pools with sunbeds and umbrellas. Spacious 1 and 2 bedroom apartments with limited kitchen facilities are available. Good For – Families wanting to stay somewhere right in the heart of the action with a splash park onsite. 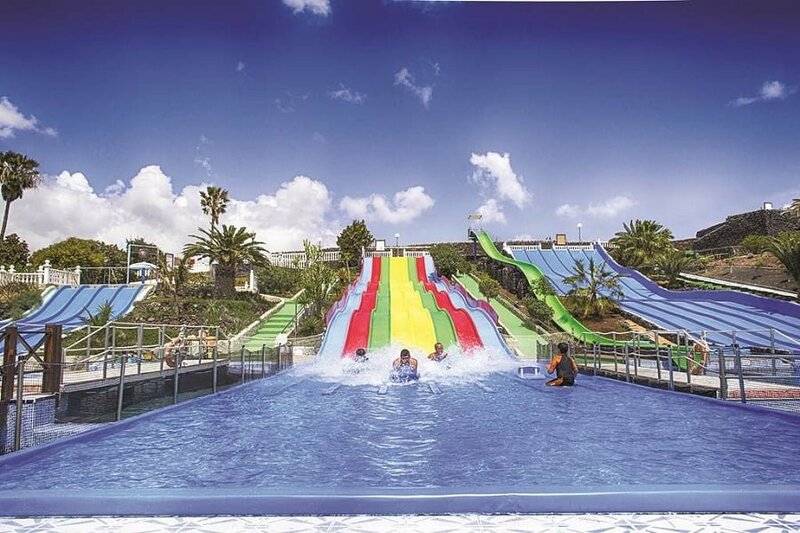 One of the best things about stays at the Green Garden Resort is that they include unlimited daily entry to the Siam Park – one of the best waterparks in Europe, which also has a separate toddler area. 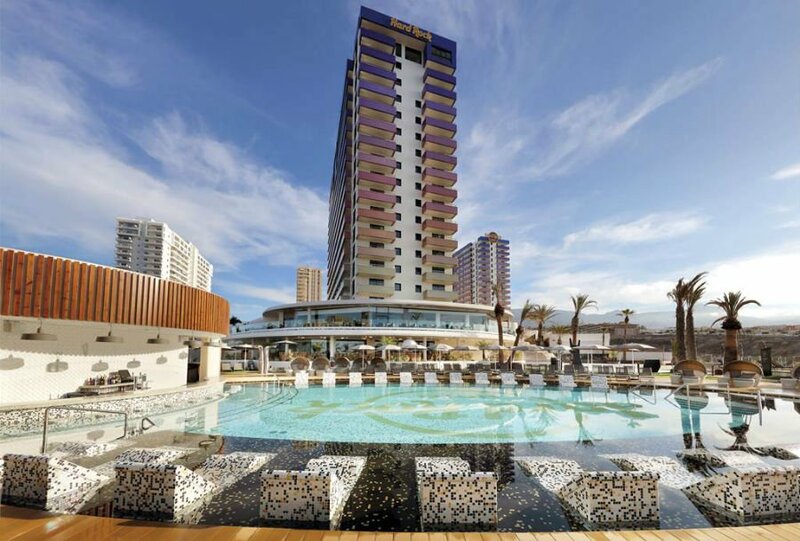 The resort is also located in between two of Tenerife’s most popular resorts; Playa De Las Americas and Los Cristianos. 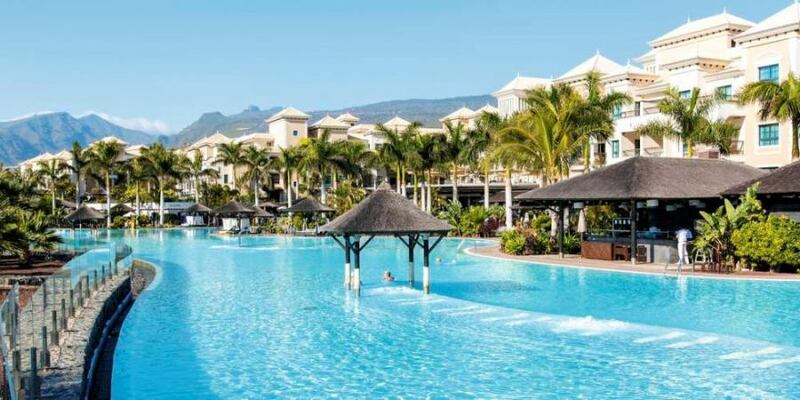 Playa De Las Americas is quite bustling whereas Los Cristianos is more relaxed so this resort is in a great location to experience the best of both worlds. A complimentary shuttle bus runs from the hotel to the resort centre and Siam Park. The hotel has an oriental theme and a tropical setting with 2 swimming pools and 1 children’s pool. There is also a children’s playground. Daily entertainment is included. Accommodation is in spacious suites which have a kettle, microwave, cooking rings, oven, toaster and fridge freezer. If you don’t fancy cooking, you can choose the All Inclusive board basis. Good for – This resort is particularly good for families with babies. Also good for families wanting to visit Siam Park. 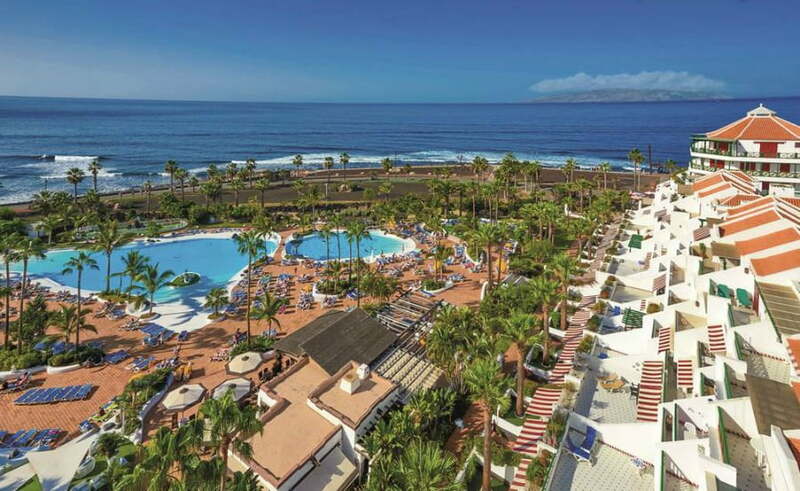 The TUI Sensatori Resort is located on Tenerife’s west coast which is one of the sunniest spots on the island. There is a new beach with a natural swimming pool right outside the resort, and the tapas bars and cafes of Alcala Village are just a few minutes’ walk away. This resort has amazing facilities for babies and toddlers. There are 5 outdoor swimming pools in total, but the heated little splash pool with fountains and a pirate ship will be a real hit with toddlers. There is also a separate children’s pool. Babies and toddlers get their own multi sensory nursery at the Sensatori with flashing lights, toys and a Little Land of Nod Sleeping Room. It is designed for children aged up to 4 years old and is available 7 days a week. Children aged 3+ can go to the Play House Children’s Club which runs free Stay and Play sessions 7 days a week so you can use the facilities as a family. All the rooms at the Sensatori are luxurious with plenty of space for the whole family. Deluxe twin rooms have enormous bathrooms with double sinks and a rain shower with a sea view option. For a bit more space, choose a master suite with a living area and a whirlpool bath, whereas Garden rooms come with a large terrace and Balinese day bed. There is even a kids show on a night called Play House Live! 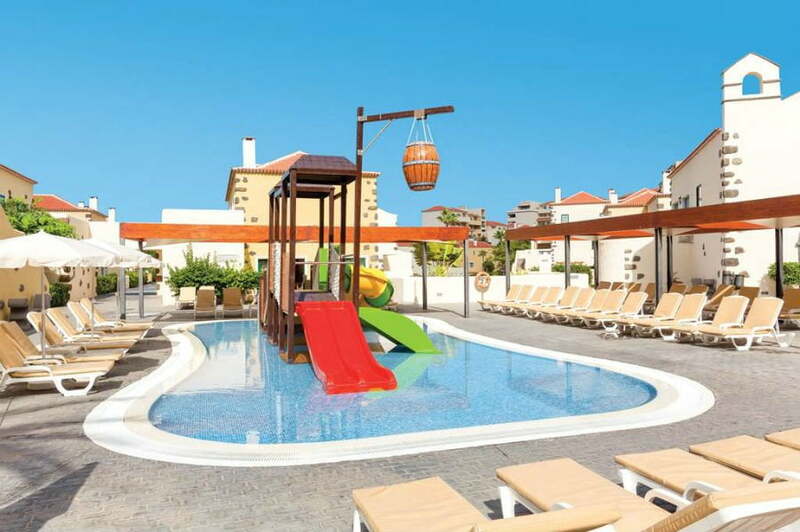 Good For – Families looking for a 5* hotel in Tenerife which is especially good for babies and younger toddlers. 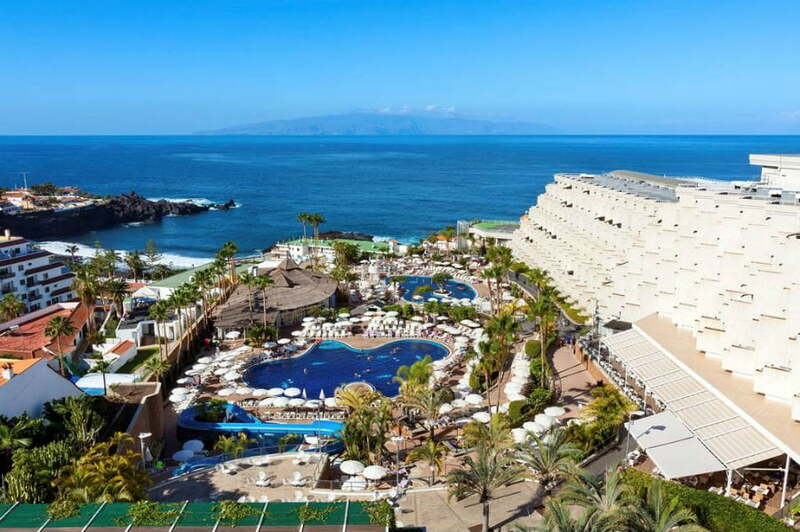 The Spring Hotel Bitacora is a toddler friendly hotel close to the sandy beach, and the resort of Playa De Las Americas. The rooms are clean and modern and have a walk in shower. There are 2 outdoor swimming pools with a water slide, and one of the pools has a children’s area. 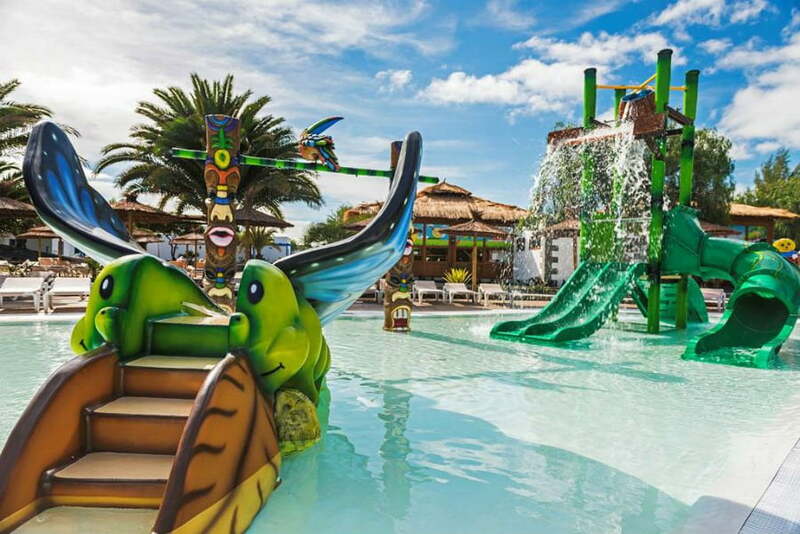 There is an amazing adventure park at the Bitacora with over 95 activities to try including a climbing frame, slide and adventure play area (not all of these are suitable for small children). The Kids Club is suitable for all children, and includes activities such as sports, story time and water based play. All Inclusive and half board options are available. 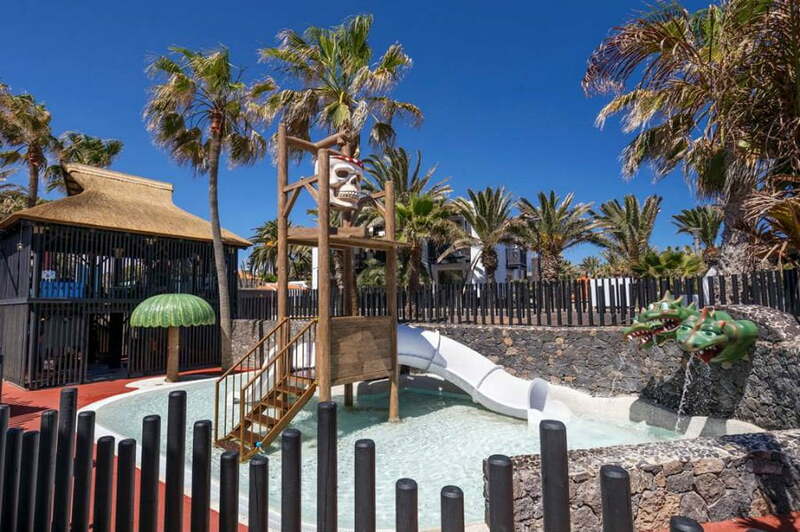 Good for – Families looking for a popular hotel close to the beach with an amazing adventure playground. 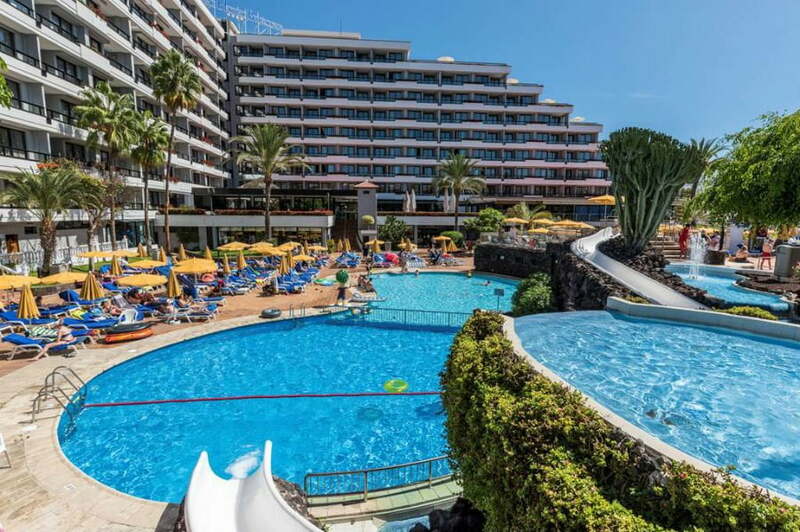 This impressive family friendly hotel has direct access to the beach, and is also close to the resort centres of Playa De La Arena and Puerto De Santiago. 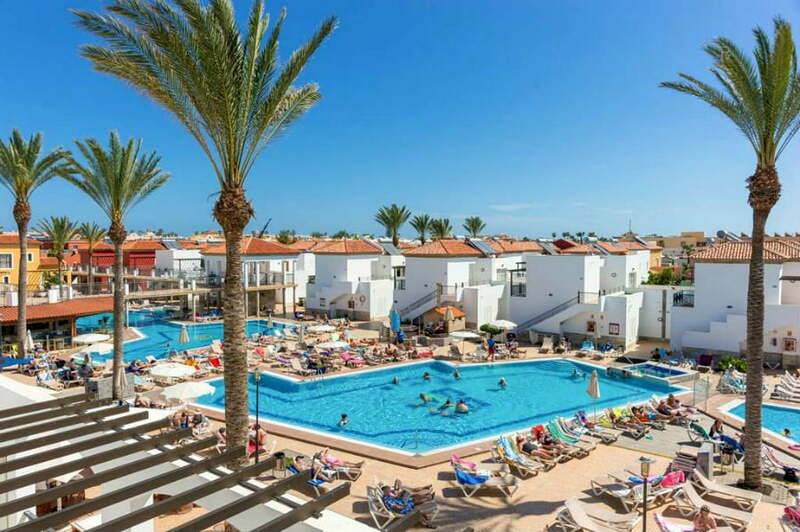 There are pretty gardens, sophisticated pool areas, excellent sports facilities for adults and older children, and an extensive entertainment programme. There are 3 outdoor swimming pools including a children’s pool with a waterslide. There is also a children’s adventure playground and a Kids Club for children aged 4+. There is daily evening entertainment including shows, karaoke, live music, mini disco and live music. 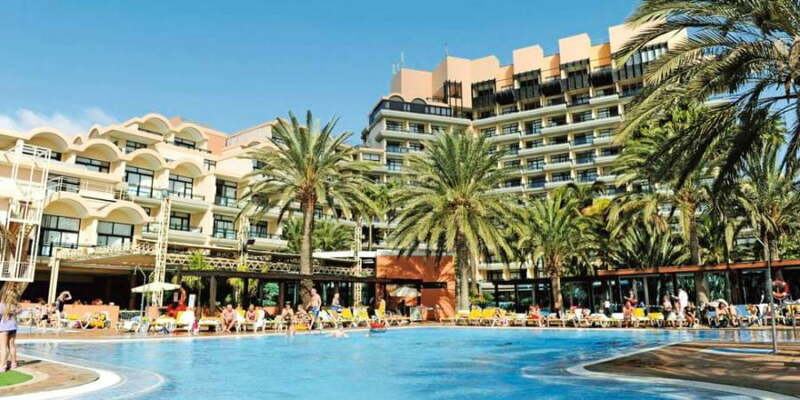 Good For – Families wanting a hotel on the beachfront with great evening entertainment. 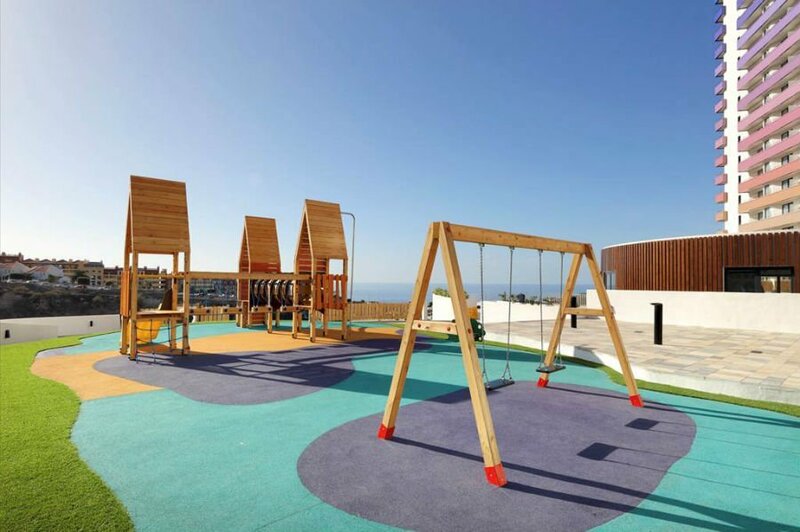 This unique hotel is perfect for families looking for a stylish hotel in Tenerife, which is also really baby and toddler friendly. Don’t be put off by the concerts taking place on the hotel’s open air stage, and the music playing around the hotel – this hotel loves children too! There are incredible swimming pools, including a lagoon, and lots of sunbathing spots and even Balinese beds and hammocks to chill out on. There is a kids splash park with fountains, jets and waterfalls, and a playground with a sandpit. Free Kids Clubs at the Hard Rock Hotel are available for children aged 6 month plus. The Lullaby club looks after children from 6 months to 3 years old, and runs activities like story time, music and drama. Whilst the little ones are at the kids club, parents can head to the Rock Spa for the ultimate pampering experience. There are 10 bars and restaurants at the Hard Rock Hotel ranging from a Tapas Bar, Asian restaurant, Steak House, Beach bar and Swim Up Bar. The buffet breakfast is really popular for its range of waffles, yoghurts, smoothies, ham, cheese and breads. All rooms at the Hard Rock Hotel are enormous suites with a flat screen TV, MP3 docking station and 24 hour room service. Bathrooms contain showers and a whirlpool bath. Top Tip – Don’t miss watching the sunset from the awesome Roof Top bar! Good For – Families who are looking for somewhere to stay with the WOW factor! The Hard Rock Hotel is sophisticated and stylish but also baby and toddler friendly too. 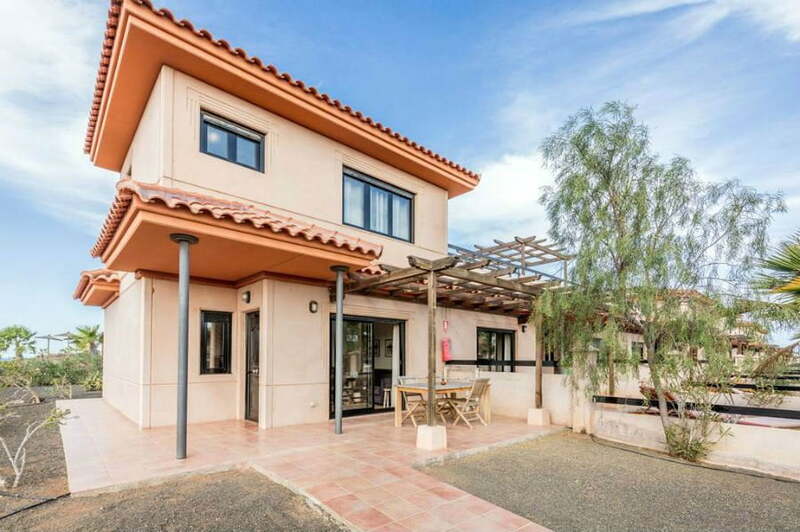 These sleek luxury suites are ideal for families looking for villa type accommodation in Tenerife. 1, 2 and 3 bedroom suites with a private pool and fridge freezer, oven, hob, dishwasher, kettle, microwave and toaster are available with all the facilities of a hotel. 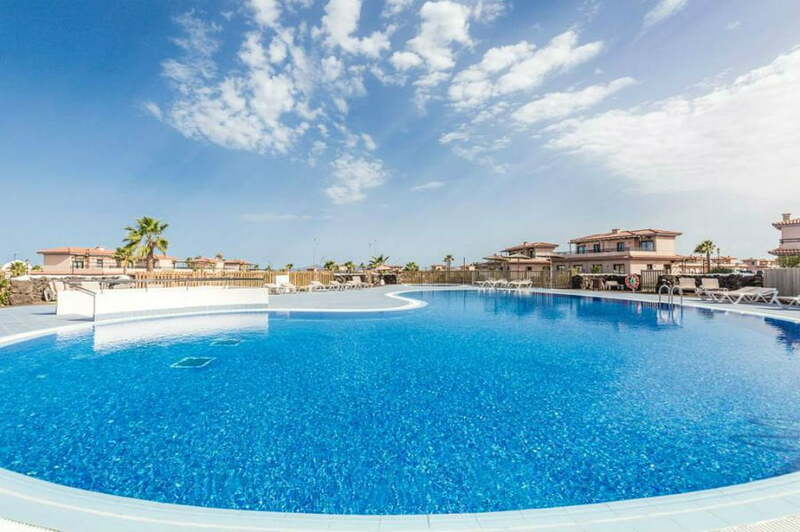 There are 4 outdoor swimming pools with 2 heated children’s pools and spectacular views over towards Costa Adeje. The Kids Club is for children aged 3 – 12 and there is also an indoor soft play area for children aged 3+. There are excellent leisure facilities at the Baobab Suites with the Activate Sports Club which offers exercise classes such as pilates classes. Nutritious food and fruit juices are also served at the Fuel RestoBar. The suites are just over 1km from Playa Del Duque beach, and a complimentary shuttle runs once a day to take visitors there. Good for – Families wanting the flexibility of staying in a villa, with the facilities of a hotel. Families who like to keep fit on holiday. 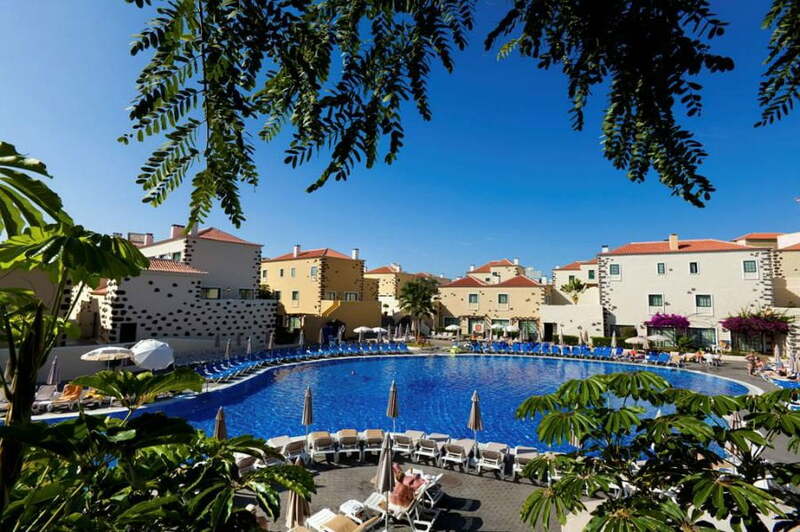 This luxury hotel is in the middle of the resorts of Playa De Las Americas and Los Cristianos, and has quality accommodation in spacious and well equipped apartments. 2 bedroom suites have a toaster, microwave, oven, cooking rings and fridge freezer so you can prepare light snacks. Alternatively All Inclusive is available. There are 3 outdoor swimming pools including 1 kids pool. There is a complimentary bus to the resort centre and beach twice a day, and a bus to Siam Park once a day 6 times a week. There is daily entertainment during the day and night at the Gran Oasis Resort. Good for – Families looking for a peaceful, quiet hotel to stay in with a bit of luxury. This amazing hotel is located right on the beach, and is just a 20 minute transfer from the airport. Toddlers will love the splash park with its fountains and sprays – and as a bonus there are loads of sunbeds around the splash park for parents to relax on too. Tiny tots will love the shaded baby pool. Away from the pool, babies and toddlers will love the soft play and dedicated parent and toddler activity sessions which take place at the hotel. These include fun things such as music, storytelling and games, and take place during the peak seasons. The Family Life Bahia Feliz Orquidea is really geared up for families with young children offering baby equipment hire so you don’t need to bring bulky items like strollers, bottle warmers and sterilisers with you. There is also a Baby Club running from May – October which offers 2 x 3 hour sessions a day where fully trained staff can look after your little one while you take a well-deserved break. Parents will also appreciate the convenience of an air-conditioned Baby Lounge around the pool area where they can feed their baby or do changes without having to go back to their room. There is a range of 2 bedroom suites and Family Rooms at the Bahia Feliz Orquidea. 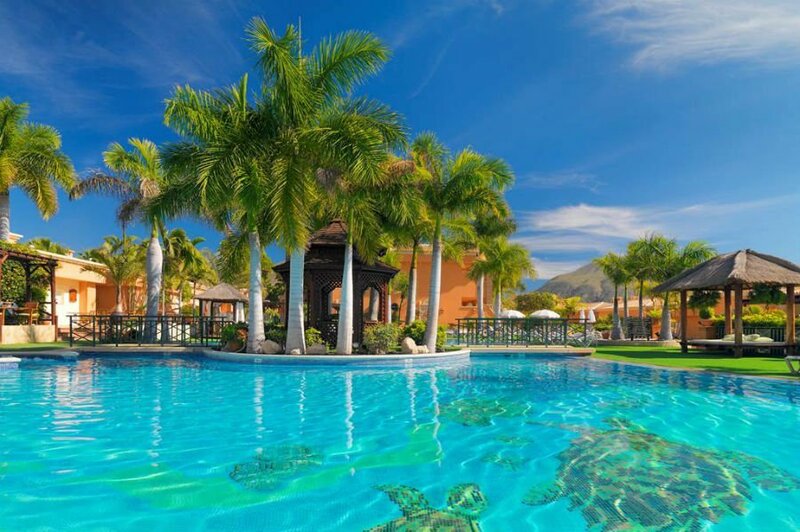 The Dunas Suites and Villas Resort is a pretty Canarian style resort set in tropical gardens. There are 4 swimming pools (3 for children! ), a playground, and the beach is lso just a 15 minute walk away. 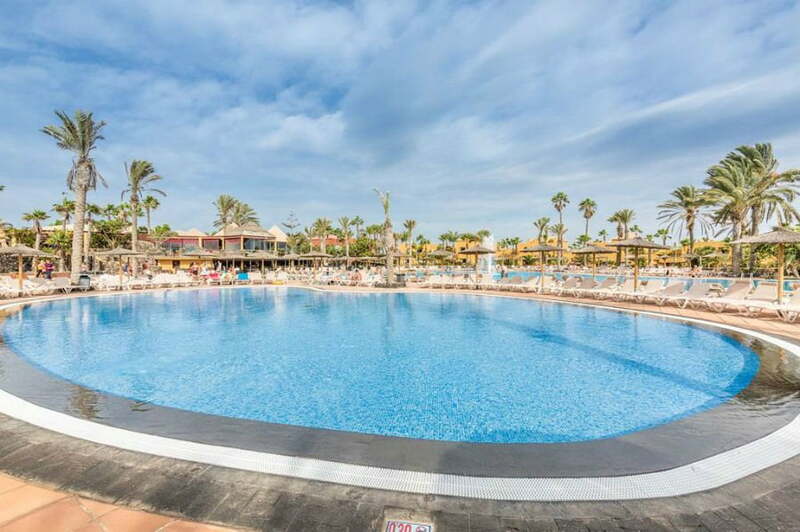 The resort is also close to the upmarket resort of Melonaras with its designer shops, cafes and restaurants, as well as the famous sand dunes of Maspalomas. Families can stay in 2 bedroom suites which sleep up to 5 people in 2 bedrooms and have a kitchenette and sun terrace to enjoy the sun on. 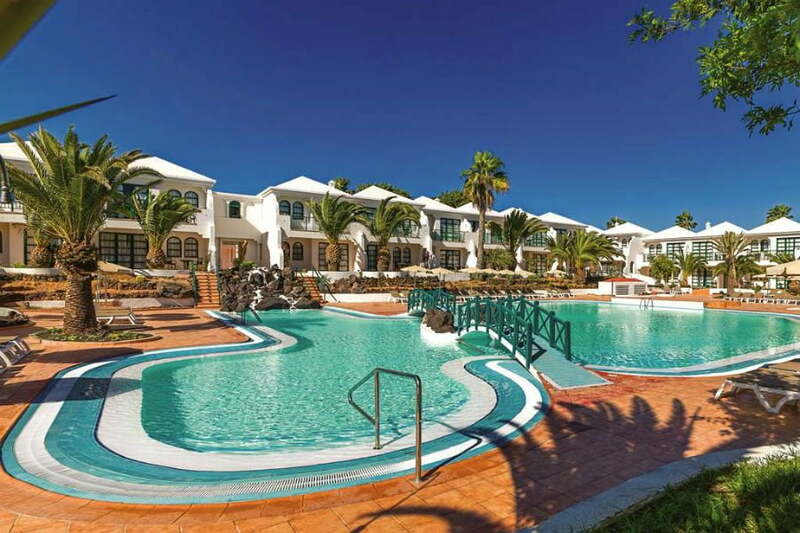 The Cordial Mogan Valle Apartments are located in a quiet area of Puerto Mogan with its white sands and calm sea. The family friendly apartments are really spacious with 1 and 2 bedrooms versions available – all have well equipped kitchenettes. Toddlers will love the splash park with tipping water buckets, fountains and sprays. Away from the water, there is a soft play area and outdoor playground. There are a variety of board options at the Cordial Mogan Vallee Apartments ranging from self catering, B&B, half board, full board and full board plus. This African themed resort is known for its amazing swimming pools! There are 7 to choose from; 2 specifically for children plus a lazy river which winds its way through the jungle themed gardens. The lake style beach has an artificial beach, and the beach is just a 10 minute walk away. A variety of family rooms are available including Swim Up Family Rooms. There is a packed evening entertainment schedule including a mini disco. 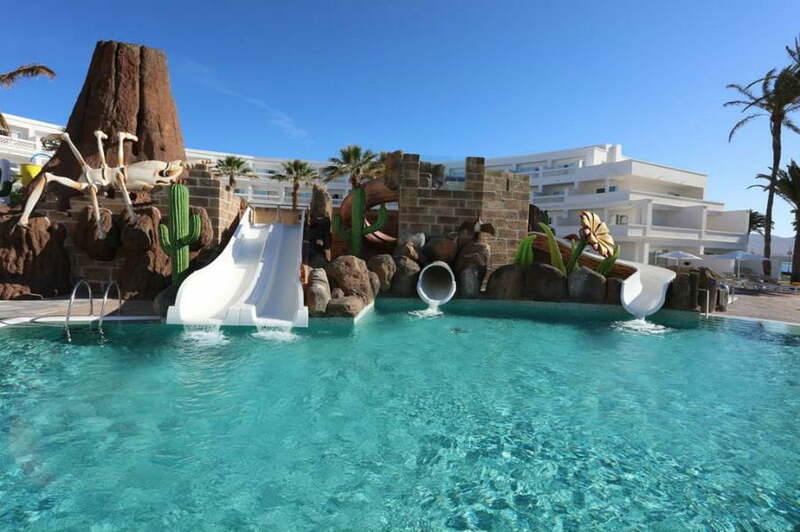 The highlight of a stay at the Paradise Lago Taurito hotel is free unlimited access to the Paradise Resort Taurito which is the largest seawater water park in Lanzarote. Toddlers will love the pirate ship at the water park. There is also a 10 pin bowling alley and a kids club for children aged 4+. The hotel comes alive on an evening with nightly shows, games – and of course the mini disco! Spacious rooms are available, and families can choose to stay on an All Inclusive basis. This hotel really welcomes families with babies and toddlers – it even has special 2 Bed Kids Suites with a baby pack which includes a bottle warmer, blender, highchair and a games console for parents!! 2 bedroom bungalows are also available. The resort is made up of low rise bungalows scattered around open gardens with palm trees. There is a water park for toddlers with tipping buckets and fountains, and also a playground. 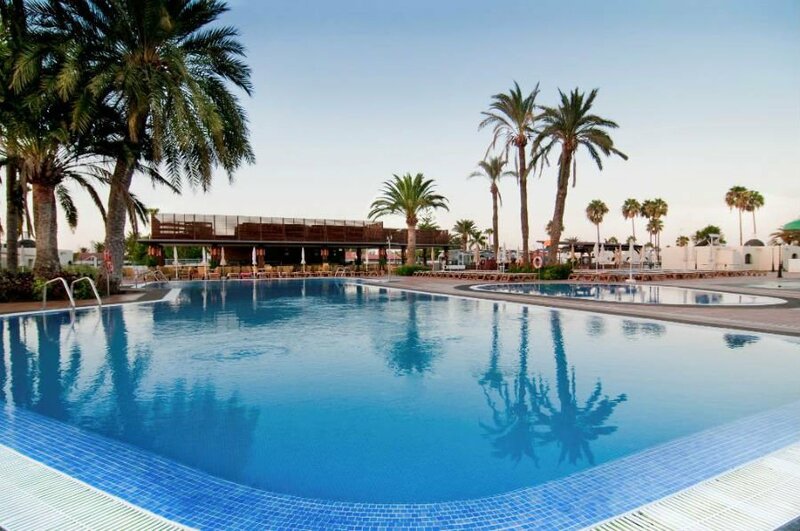 The hotel is in a great location in the centre of the Playa Del Ingles resort, and just 30 mins away from the airport. 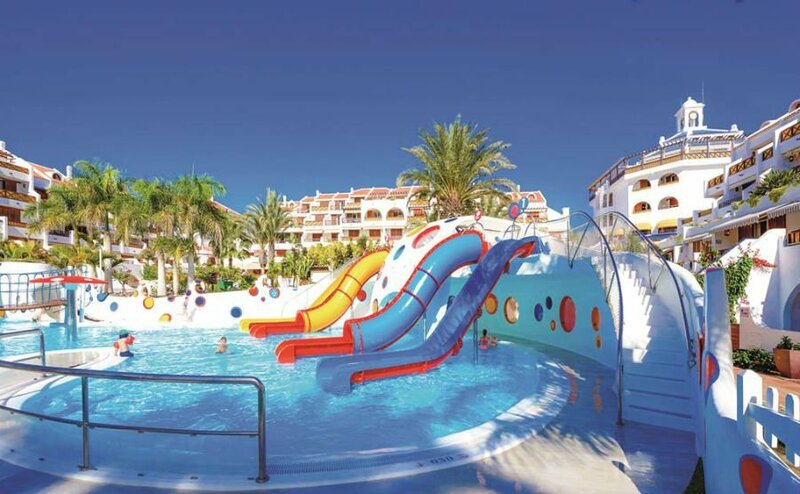 This lively toddler friendly hotel is close to the centre of Playa Del Ingles and just a 5 min walk to some great bars and restaurants. The beach is a just a 10 min walk away too, and you can catch the shuttle bus in case you don’t fancy walking. 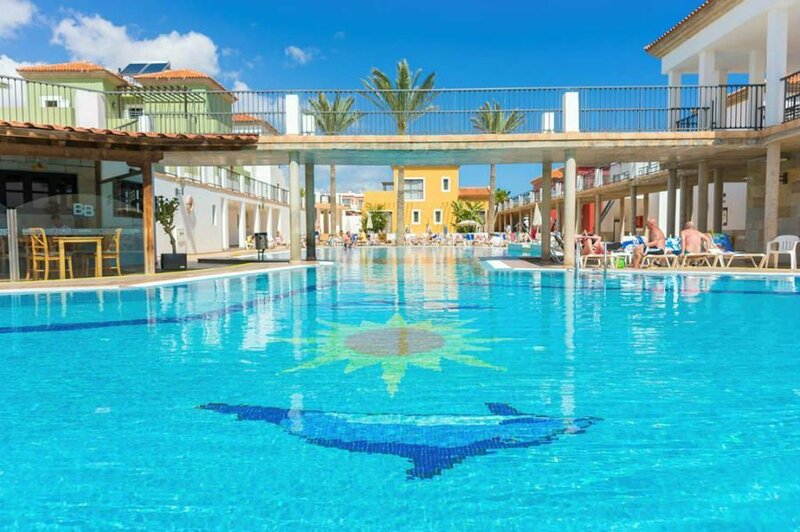 Life revolves around the pool at the IFA Buenaventura Hotel, and there are 3 to choose from including a separate children’s pool. Away from the pool, there is a playground with swings, see saw and slides. There is a packed entertainment and activity programme throughout the day and evening. 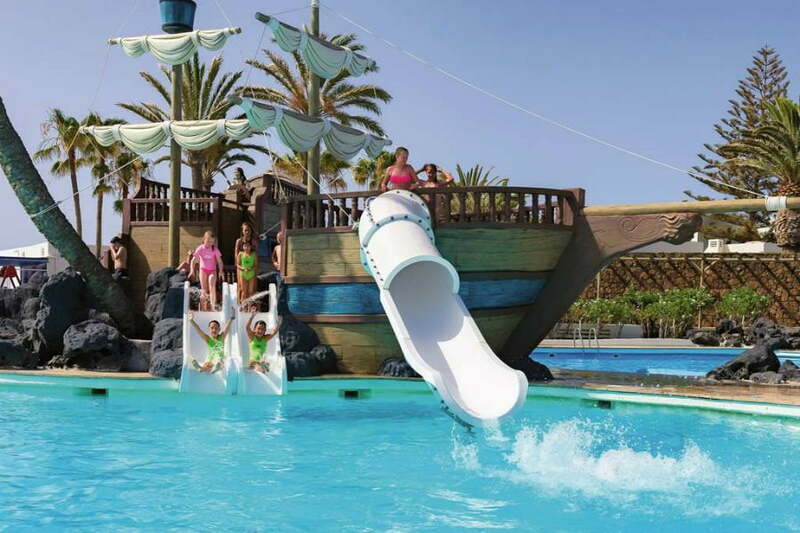 Toddlers will love playing on the pirate ship in the swimming pool, where they can whizz down slides and play in the fountains. There is also a shallow swimming pool for toddlers, and a playground – plus excellent sports facilities including a football pitch and archery. 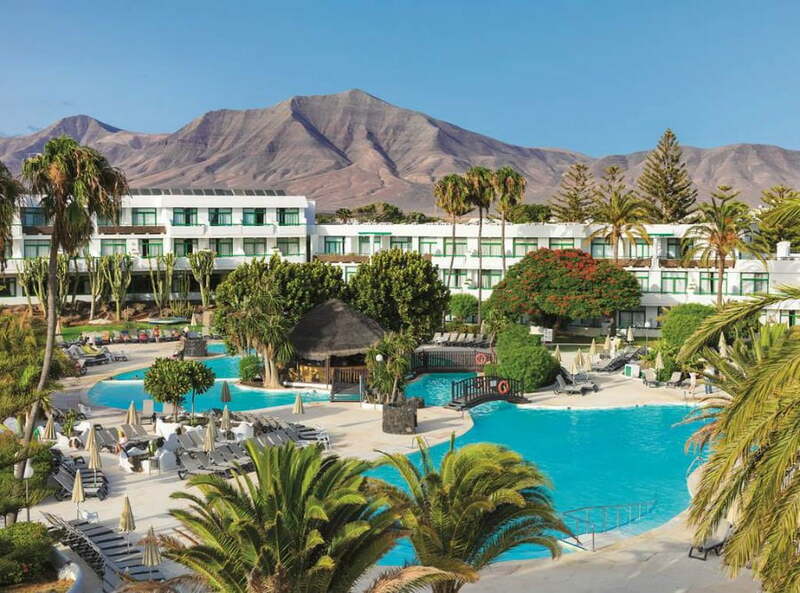 The hotel has recently been refurbished, and is just a few minutes’ walk to the beach as well as being close to the resort of Costa Teguise. Family suites sleep up to 4, and have a balcony or terrace with a pool and garden views. They all have WIFI, flatscreen TV, air con and a microwave. The Flamingo Life is a collection of toddler friendly apartments set around 3 swimming pools just a 2 min walk away from the beach. There is a large lagoon style swimming pool, a splash park with slides, waterfall palm trees and a tipping bucket, plus a separate kids pool and a shaded baby pool. 1, 2 and 3 bedroom apartments are available which include a kitchenette, microwave and kettle. The apartments are in Mediterranean style whitewashed villas and have large sofas and flat screen TVs with satellite channels. 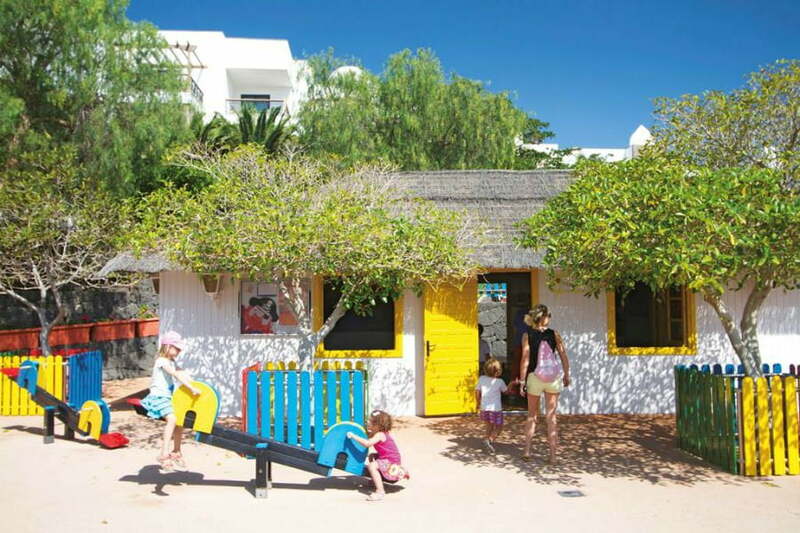 There are excellent facilities for babies at the Flamingo Beach including a Baby Club which is open 6 days a week and provides three 2 hour sessions a day. There is also an air conditioned Baby Lounge where you can feed your baby or change nappies without having to go up to your room. There is a packed entertainment schedule at this hotel including family friendly shows and a mini disco. 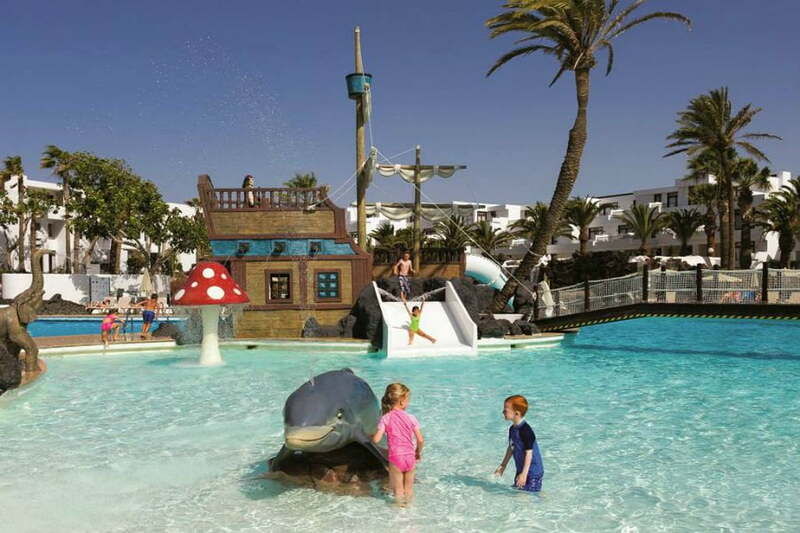 This mega resort has loads of facilities and activities for toddlers and children of all ages. There are 10 swimming pools including 5 children’s pools and a splash park, sports courts and the beach is a 20 minute walk away. The apartments are all low rise and have a kitchenette, lounge and balcony / terrace. Free WIFI is included. The focal point of the resort is the large arena where nightly shows take place. 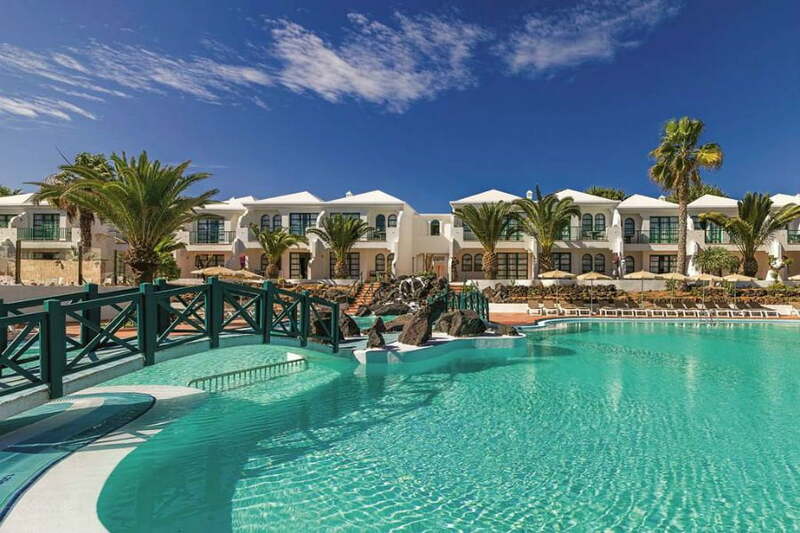 The Holiday Village Lanzarote is made up of lots of little chalk white bungalows which are dotted around the grounds in the middle of the palm trees. The hotel is in a fab location – minutes from the beach and a 15 min stroll from Playa Blanca resort with its bars and restaurants. If you are lucky, you might even be able to see the neighbouring islands of Fuerteventura and Lobos in the distance! There is a massive lagoon style swimming pool with a separate children’s pool and a rainbow coloured playground. Rooms and suites at the Holiday Village Lanzarote come with WIFI, satellite TV, air con and a mini fridge. 2 bedroom suites are available. All the rooms are being refurbished, and this is due to be completed by Nov 2018. The Twinkle Stars Creche is available for babies aged up to the age of 3. Prebooking in the UK is advised. 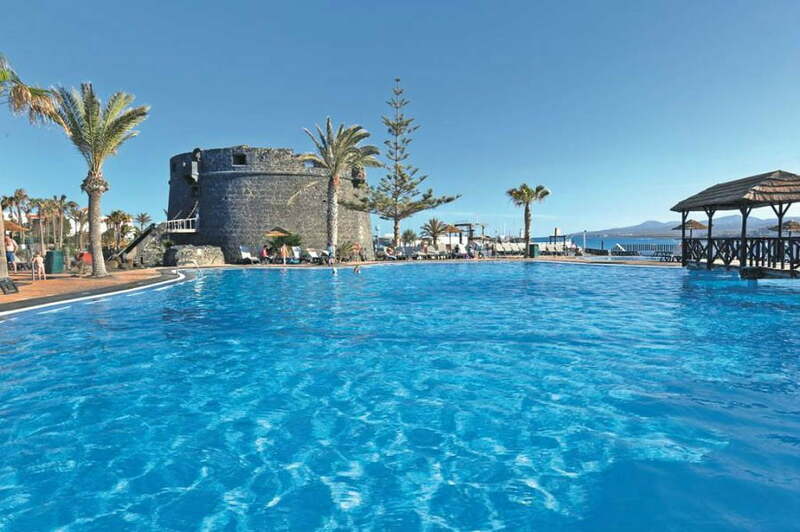 The Rubicon Palace is a 5* hotel in Lanzarote designed around the feel of a Canarian village. There are lagoon style swimming pools, designer interiors, loads of bars and restaurants and a luxury spa. There are 3 children’s pools, a playground and a Baby Club for children aged 1-3 which runs activities such as arts and crafts, story time, games, music and water play. Rooms have recently been refurbished and range from Double Rooms to suites. The H10 is 500m from a sandy cove and 1.5km from Flamingo Beach. 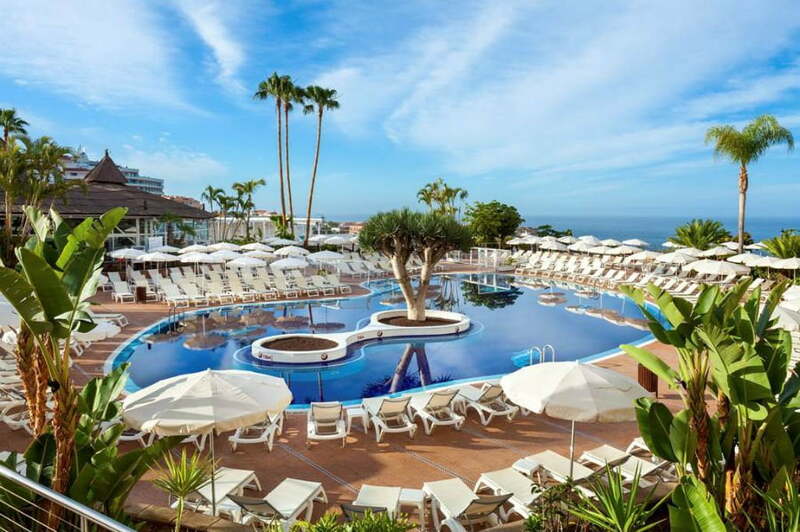 This 4* stylish resort has cobbled streets and traditional Canarian low rise whitewashed suites situated in lush tropical gardens. There are 5 outdoor swimming pools, including a children’s pool with slides and fountains, and an indoor heated pool. Toddlers will love the playground, mini football court and indoor soft play. There is a fantastic range of bars, restaurants and entertainment but the hotel is also just a 20 minute walk into Playa Blanca town. Flamingo Beach is just a 10 minute walk away. All the rooms are in low rise bungalows with a spacious garden / terrace area with sunbeds for relaxing on. Family suites with a flat screen TV, WIFI, air con and 2 bathrooms are available. Please note that the Kids Club is for children aged 4+. 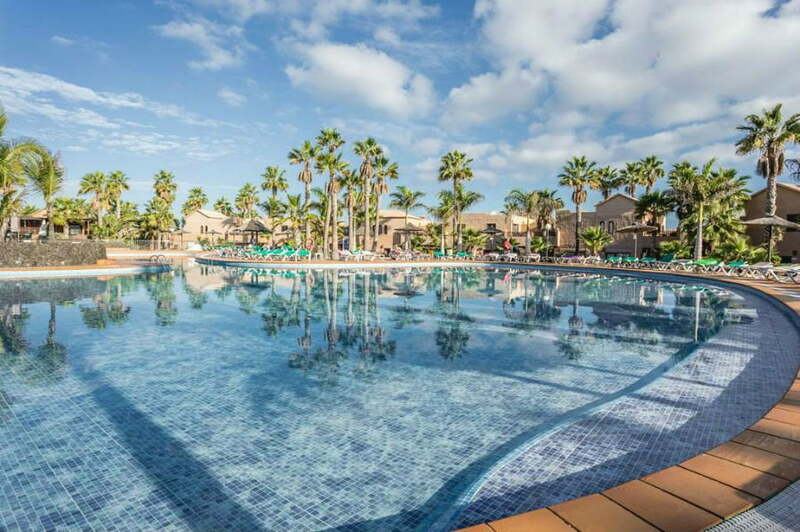 This large resort is less than 5 minute’s walk from a sandy beach, and is a minute’s walk to the bars and restaurants in Costa Teguise’s main square. 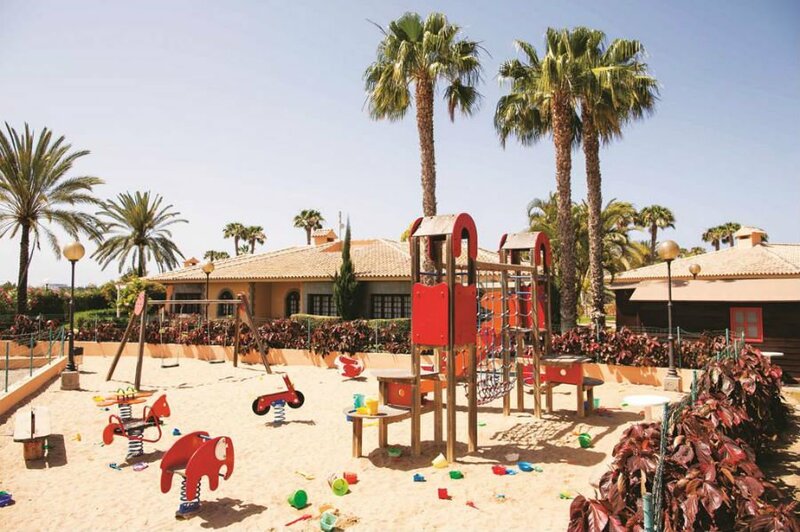 There are loads of sports facilities at Los Zocos including football, mini golf, face painting and arts and crafts. Plus bike hire is available so you can explore the local area. The Bamse Club is the kids club for children aged 3- 5, and there is nightly kids entertainment including quizzes and an entertainer. Toddlers will love splashing around in the mini splash pool with water spouts, waterfalls and fountains. There is also a playground with slides and a playhouse. Accommodation is in 1 and 2 bedroom apartments with air con, a lounge area, well equipped kitchenette and a balcony or terrace. This excellent hotel comes highly recommended, and has recently been refurbished. One of the best things about it is that it is in a prime location just 300m from the beach and 500m from the centre of Playa Blanca. There is an outdoor children’s pool and an indoor heated pool for cooler days. Most of the family rooms are on the ground floor, and are spacious with good sized balconies. They all have a kettle, fridge and microwave. Please note the kids club is for children aged 4+. This beachfront hotel is great for families with babies and toddlers, who are also looking for a bit of luxury. 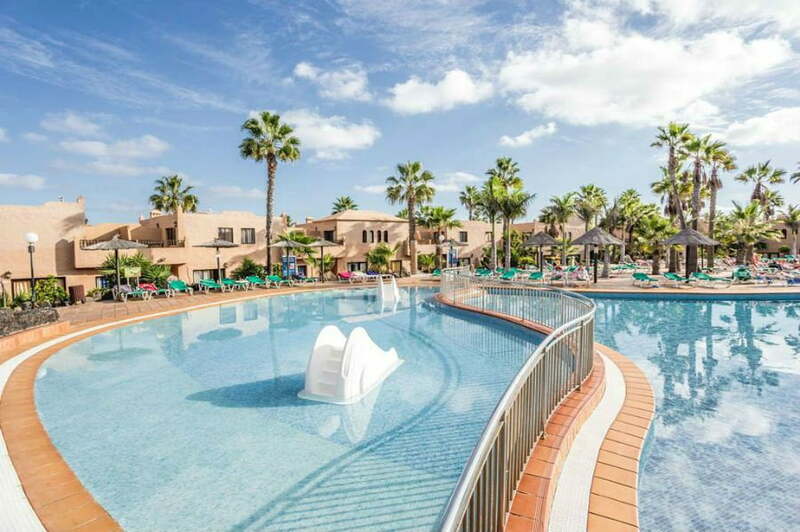 For the little ones, there are 3 children’s swimming pools, an indoor soft play area specifically for children under the age of 8 – and of course the beach, which is on the hotel’s doorstep. 3 of the hotel’s 8 restaurants are family friendly, and there are special Family Suites with 2 bedrooms , 2 bathrooms and a microwave and kettle. Items like baby warmers and pushchairs can be hired from Reception. Parents can really relax at the Princesa Yaiza Hotel. The Thalasso and Spa Centre is the place for ultimate relaxation with its therapeutic treatments, Relax rooms and a la carte indulgent breakfasts. There is a creche for children aged up to 2 with a soft play, ball pool, toys and games and a Kids Club for children aged 3 – 16. A great choice for families looking for a luxury holiday with everything provided! 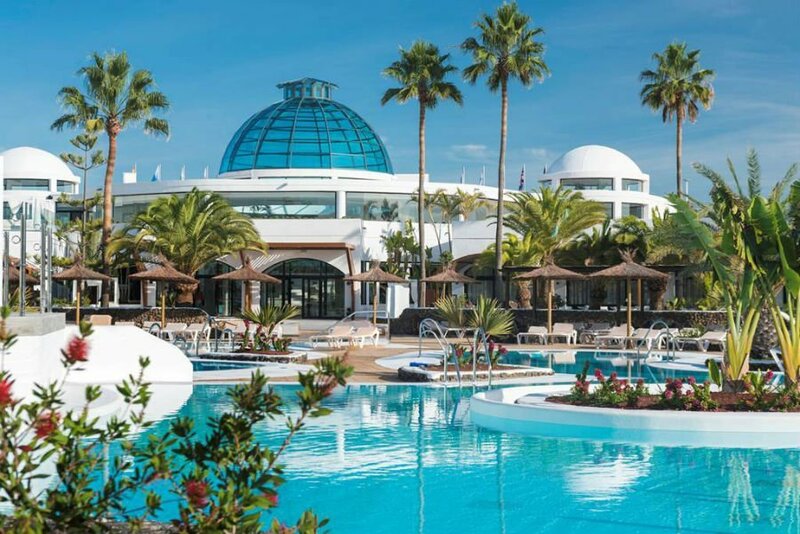 The 5* Iberostar Playa Blanca has recently been refurbished and is located in a peaceful area in Playa Blanca. 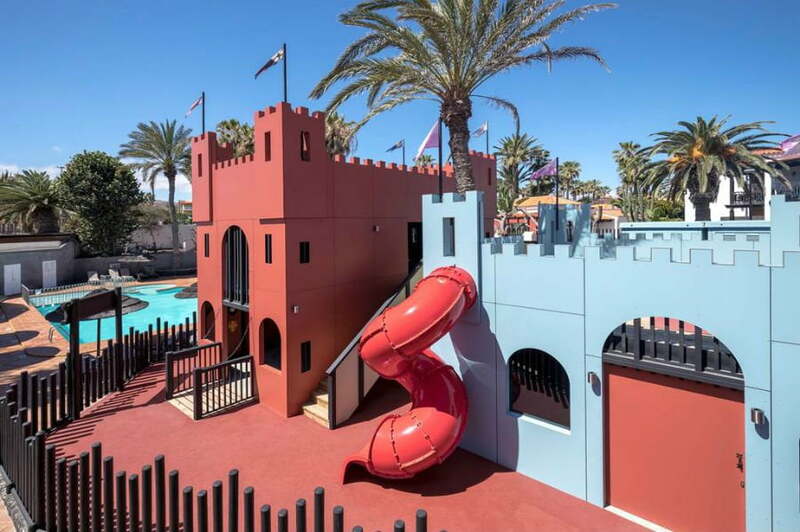 Located right on the seafront, this excellent hotel has a new splash park with waterfalls, tipping buckets and fountains. There is also a children’s playground and indoor soft play area specially for children aged up to 3. This also has bottle warming, cots and a baby sleeping area. It is fully air conditioned and open between 10am and 1pm daily. All rooms have sea viewed and good sized balconies. Family rooms are available. One of the best things about the Galeon Playa Apartments is the pirate themed 2 bedroom themed apartments which have bunk beds, a mini kitchen and a welcome gift on arrival – a must for pirate lovers! 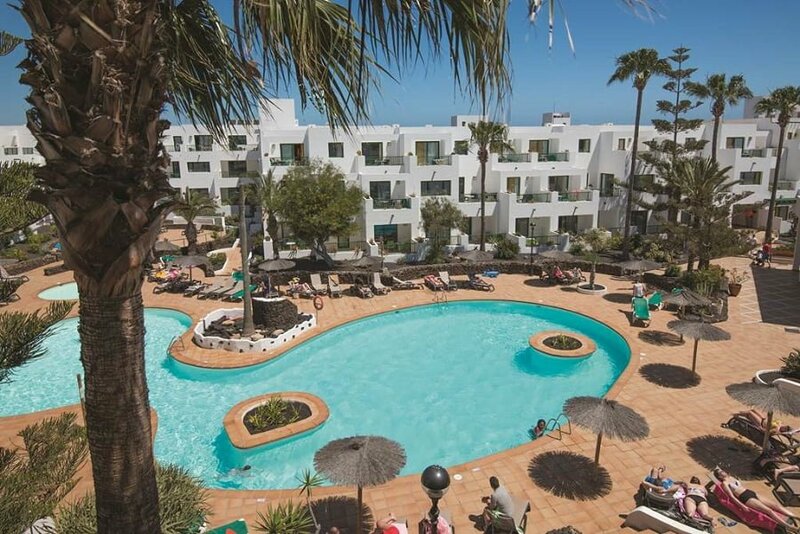 All the apartments at the Galeon Playa Apartments are spacious and well equipped and overlook one of the most beautiful beaches of Costa Teguise. There is a children’s swimming pool with a waterslide, 4 outdoor swimming pools, a playground and an indoor soft play area. The kids club is for babies aged 6 month plus. 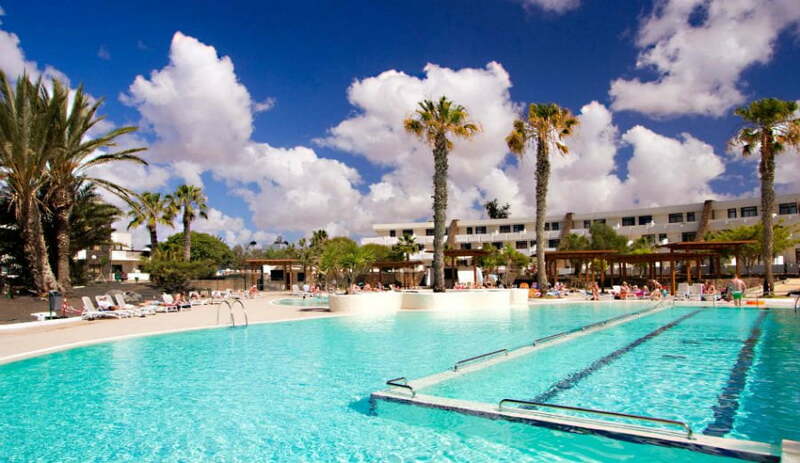 The resort of Costa Teguise is just 500m away. Can you recommend any places to stay with babies and toddlers in the Canary Islands?